Independent Forage Grower Members are listed below in alphabetical order. 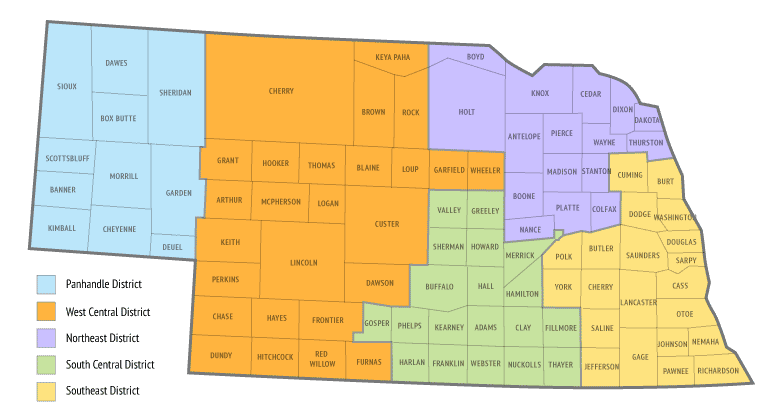 The map provides a reference as to which part of Nebraska each member resides. H. Storjohann Northeast 970-218-9147 402-500-0712 NebraskaHay@gmail.com Large Round Net-Wrapped Alfalfa Hay Bales. 1,400 lbs. 1st, 2nd, and 3rd cuttings.